Mix sugar and cinnamon in a small bowl. 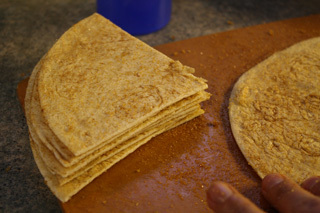 Spray each side of the tortilla with cooking spray. Then, sprinkle with cinnamon and sugar. 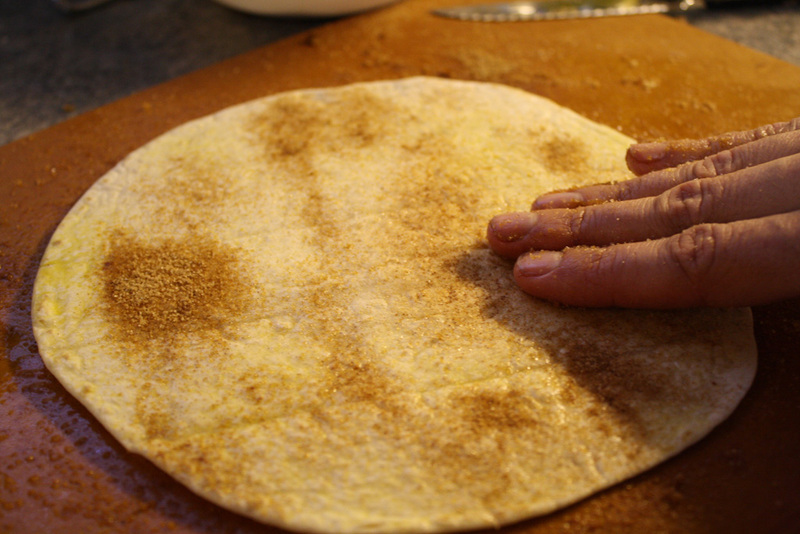 Use your hand to spread the mixture evenly across the tortilla. Then, turn the tortilla over and repeat. Cut each tortilla into four wedges. 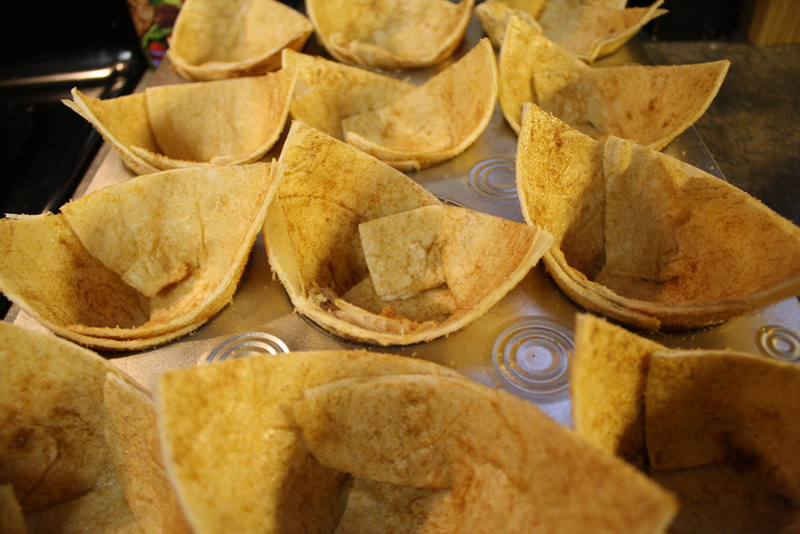 Place round edge of one tortilla wedge in the bottom of a muffin cup, shaping sides to fit cup. Place a second tortilla wedge in muffin cup, allowing bottom and sides to overlap. Bake at 350° for 10 minutes or until crisp and lightly browned. Cool completely in pan. 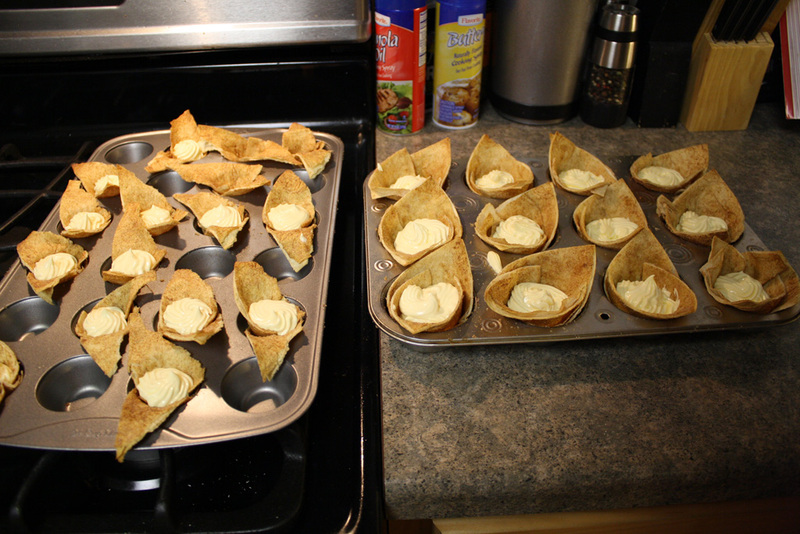 Meanwhile, for filling, in a small bowl, beat cream cheese until smooth. In another bowl, whisk milk and pudding mix for 2 minutes. Let stand for 5 minutes or until soft-set. Beat in cream cheese on low until smooth. In another bowl, beat heavy whipping cream until thick but before peaks form. Add 1/8 cup powdered sugar and continue to beat until soft peaks form. 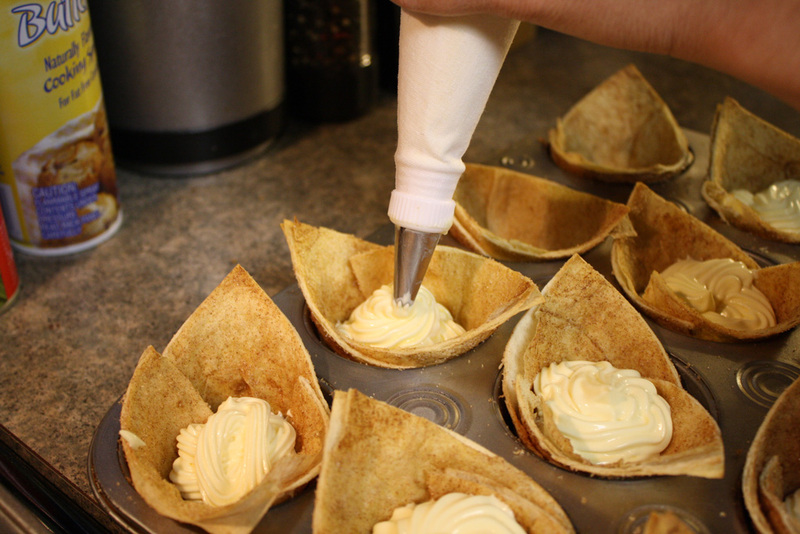 Fold whipped cream into pudding mixture. Cover and refrigerate for 1 hour. Carefully remove cups from pan. Pipe about 3 tablespoons filling into each cup. Pipe melted chocolate over the top of each dessert cup. 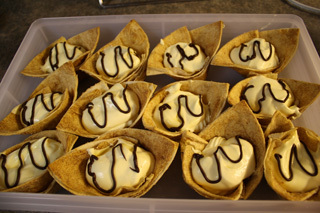 Dessert cups may be stored in the refrigerator for up to one week. 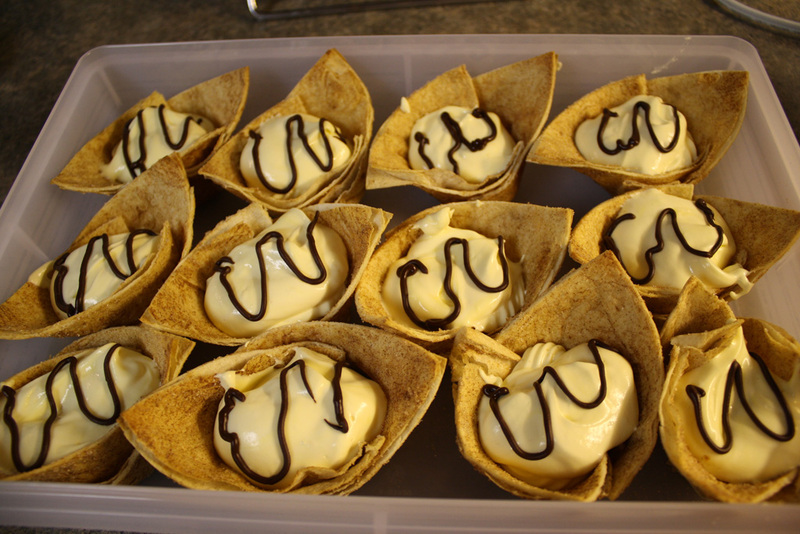 These tasty treats will keep you coming back for more!